I'LL never forget the time I limed with the locals in Tobago. Before you think of us all squeezing the citrus fruit in unison, let me explain that liming is the local patois for enjoying the scene and chilling with friends in a public place. And it's refreshingly zesty to see a group of people making a point of pressing the pause button in an ever-busier world. Despite the availability of wifi in my beautiful hotels mobile phones seemed to lose their relevance during my trip. When you visit the West Indies, it would be a crime not to enjoy the natural beauty of the rainforests, mountain ranges, coral reefs and warm seas on offer. However, whether you choose to lime, or get jiggy and wine with the locals (wining means to dance) the island promises a memorable holiday for all the family. As I discovered during an all too short visit, Tobago is picture postcard perfect, with white beaches, sparkling blue sea, and palm tree-lined paths. A look round its oldest protected rainforests and local plantations is an education as you are introduced to natural resources such as coffee beans and cashew nuts growing on trees, alongside local staples plantain, breadfruit and pomerac. On a road safari at Courland, I encountered all the delights of nature's supermarket and even enjoyed a taste of it all thanks to our knowledgeable tour guide. A trip to the Tobago Cocoa Estate gave me a new perspective on my chocolate habit - as I was shown the whole process of stripping the cocoa bean from its huge pod before drying it out and making it ready for chocolate manufacture. To think it is eaten in seconds after months, of preparation. Plants like mother-in-law's tongue, with spike-like flowers, which improve air quality, the trumpet tree with fruits to make health-improving tea and cigarette filters, and the flower of the silk cotton tree, which is used for stuffing pillows, made me appreciate how self-sufficient the island is. A jungle trek, like I'm a celebrity without the unpleasant stuff, takes you through local flora and fauna, streams and pools, giving you the opportunity to shower under the Argyll waterfalls along the way. Of course, the beaches are a big attraction, along with the coral-filled Buccoo Reef and Nylon Pool. The Nylon Pool, an offshore sandbar, which forms a natural, metre-deep swimming pool in the middle of the sea, was a particular favourite of Princess Margaret, who gave it its name in 1962. Snorkelling, even for the amateur, is a must and a trip to Pigeon Point, with its famous thatch-roofed jetty, give you the perfect vantage point for holiday photos. Holidays provide an opportunity to try something different and perhaps a little daring. I was out of my comfort zone when I was offered the chance to go bridle-less and barefoot horse riding along the beach. Being With Horses owner Veronica La Fortune made me and my horse feel right at ease. I felt confident by the time we rode along - and didn't panic when we were told we were going into the sea on horseback. Riding my seahorse was one of the most exhilarating experiences of my life and I felt I'd really accomplished something. We celebrated our evenings with trips to the Tobago Jazz Experience, which is held each April and offers a real mix of music from local choirs to international artists such as Emeli Sande and Elton John. Like many places in Tobago, it has plenty of street food stalls and as you watch, you can tuck into specialities including crab 'n' dumpling, pigeon peas and roti. Fresh fish, lobster and other delicacies can be enjoyed at the Seahorse Inn in Scarborough while street grub and late night entertainment can also be found at the Sunday School - a loud, vibrant street party, which only gets into gear at 11pm. We stayed at Turtle Beach, where the lucky traveller can discover the turtles laying eggs on the beach in the wee small hours of the morning, and the smaller, more boutique-style Bacolet Beach Club, with sea views and an infinity pool. There are also large hotels like the Magdalena Grand, complete with hammocks. 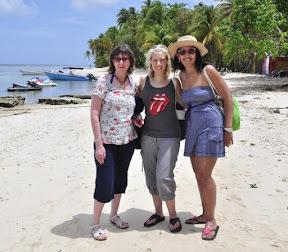 Despite its offering of modern hotels and facilities, there is something about Tobago that is very simple and a trip there is like something quaint and charming from a bygone age. 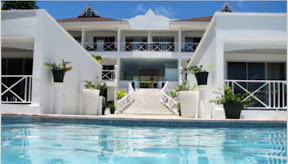 The second two nights, we stayed at: Bacolet Beach Club, 73 Bacolet Street, Scarborough, Tobago. The accommodation was provided courtesy of both hotels. All ground arrangements were provided by Tobago House of Assembly (THA).